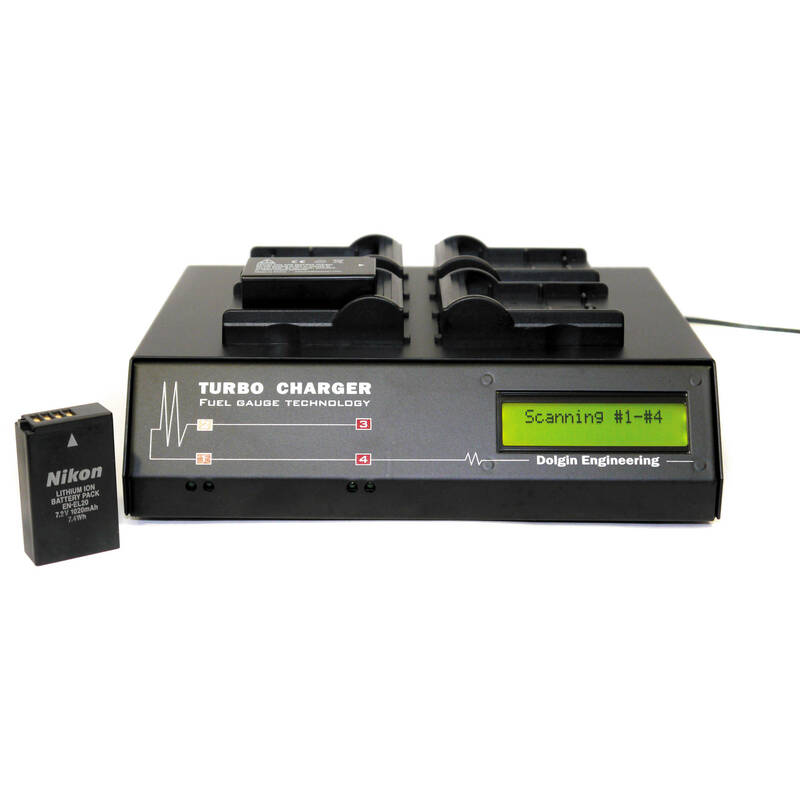 The Dolgin Engineering TC400 Four Position Battery Charger simultaneously charges 4 Nikon EN-EL20 battery packs. It will charge batteries in approximately 2.5 hours when all 4 channels are filled. Additionally, each battery bay is independent, meaning that batteries can be added and removed at any time. An LCD display provides information on the charging status of each battery. It provides the information in volts, Ah, and percent of charge. This charger is compatible worldwide with a 100-240V AC or 12V DC car power. Box Dimensions (LxWxH) 12.0 x 9.0 x 4.0"